Major tobacco companies have undergone large scale changes over the last decade, having to shift their research and development focus to smoking alternatives over the traditional combustible cigarette. Philip Morris International (PMI) even launched an advertising campaign this year with the tagline “We want to give up smoking.“ PMI claimed the ads were to promote their heat-not-burn and vape products, as the company hopes to make their cigarettes unavailable in the UK by 2030. Vaping and smoking alternatives outsell and outperform cigarettes in a number of areas, including current health research. But, PMI’s ad campaign was met with skepticism, and naturally considered a PR stunt. Now, some 8 months later, it appears the public skepticism was warranted. Findings published online this week exposed social media advertising campaigns that promote cigarettes, funded and organized by major tobacco companies. 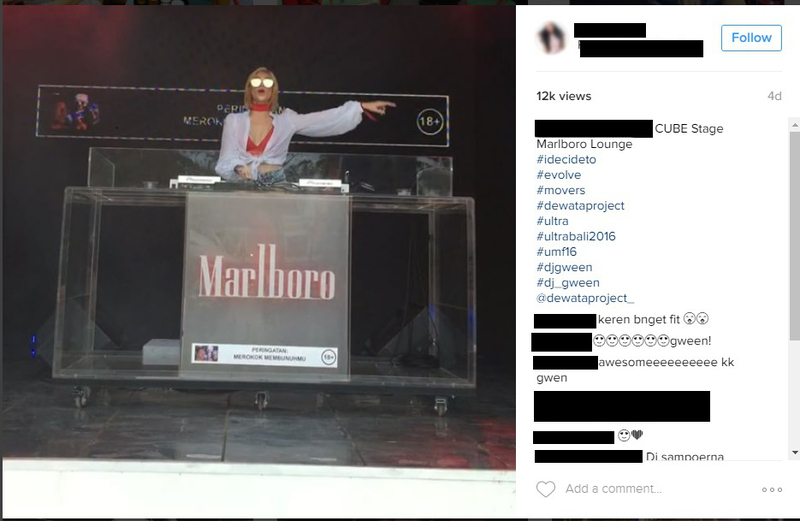 Philip Morris International, British American Tobacco, Japan Tobacco International, and Imperial Brands were discovered using young-adult social media influencers to promote cigarettes on sites like Facebook and Instagram. The announcement followed a two-year investigation by the Campaign for Tobacco-Free Kids (CTFK) and Netnografica – a US-based online research company. The advocacy group included research findings in a petition filed with the US Federal Trade Commission (FTC). “Evidence from more than 40 countries reveals how these companies deceptively use social media channels to promote tobacco use and smoking to a near-unlimited audience of young people,” the petition claims. Advertising campaigns came from all over the globe, but use predominantly English messages and hashtags, prompting petitioners to claim that US youth were at least one of the intended audiences. The CTFK’s petition was cosigned by nine distinguished public health organizations, following Netnografica’s findings. Netnografica surveyed over 100 influencers, who remained anonymous. Influencers said they were paid by the tobacco companies to promote cigarettes, including what hashtags to use, what messages to include in posts, how to look natural, and to keep their pay under wraps. Omitted sponsorship details may have been a corporate oversight – or even may have been slip ups by the influencers themselves, Influencers claiming that companies expressly told them not to say they were being paid comes across as more insidious or conscious, instead of simply forgetting a hashtag. “The FTC should issue an order requiring the companies to disclose on social media platforms that their pictures, videos and hashtags are in fact paid advertising and endorsements by clearly including #Sponsored, #Promotion, or #Ad in the content,” petitioners demand. But, The FTC already revised its advertising guidelines, requesting companies and promoters include appropriate hashtags in their sponsored posts. The commission states “there are no civil penalties associated with them. But if advertisers don’t follow the guides, the FTC may decide to investigate whether the practices are unfair or deceptive under the FTC Act” on their site. The World Health Organization (WHO) also composed a global treaty, called the Framework Convention on Tobacco Control, obligating countries to ban all tobacco advertisement. The FTC and WHO regulations heavily influenced decisions by social media companies like Facebook and Instagram to build their own policies that ban adverts that promote cigarettes. Given the companies’ particular disregard for the FTC and WHO, hiding sponsorship with obscure hashtags instead of publicizing it with the obvious and required ones, a federal investigation may very well be forthcoming. Next articleSurprise! The CDC Randomly Inspected 59 Vape Shops. Here are Their Findings. Brandon enjoys vaping fruity e-juices, eating burritos, and playing board games. Mostly burritos, though. Email Brandon at [email protected].